When Tumblr announced this week that its anything-goes blogging platform was becoming a little less anything-goes by way of banning pornographic content, many internet denizens — especially those who came of age using it in the earlier part of this decade — proclaimed the service more or less dead to rights. The reaction carried more than a soupçon of accuracy while being heavily steeped in nostalgia and obscuring a simple truth that, in terms of utility, Tumblr’s undergone a perpetual metamorphosis over its 11-year lifespan. Besides acting as a sometime-X-rated repository, the platform’s been used as a self-publishing tool for essays and criticism, an incubator for internet-dominating memes, and in the waning days of mp3 blogs, a tastemaker hub to share new sounds and old, overlooked favorites. Looking back at Tumblr’s presumptive legacy feels incomplete without acknowledging Grimes’s role. To be sure, the electronic-pop impresario’s ascent to the contentious and specific role she occupies in today’s digital-driven pop-culture landscape is largely owed to her music: 2012’s breakout Visions still stands as one of the decade’s true watershed moments in indie culture, a turning point in which indie’s fixation with pop went full-blown and the genre’s decade-long metamorphosis from ethos to marketing term achieved full-circle completion. 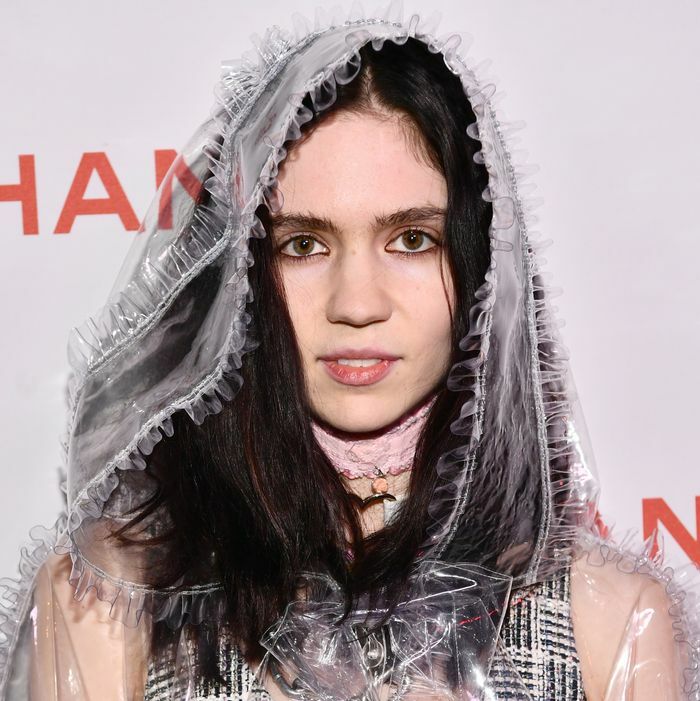 Following the largely male-dominated scene of indie heavy-hitters coronated in the late 2000s, Grimes’s instantaneous success effectively kick-started a long-overdue shift toward non-male voices in indie culture, while also suggesting that even as the genre became increasingly mainstreamed, it still stood to sound a little weird, too. As Grimes’s popularity grew, however, so did the news items concerning her each and every move on social media. Her Twitter and Instagram activity played a role, but her Tumblr posts garnered the most attention by far: over a three-year span that ignominiously kicked off after Visions’ release, you couldn’t throw a digital rock without hitting a news item recapping one of her Tumblr essays, personal best-of lists, or invectives against posting itself. Her relationship with the platform seemed at once prolific and parasitic, as she occasionally deleted her account altogether following the increased attention; in recent years, she’s taken the same tack with her tweets and Instagram posts, creating a digital graveyard of broken links embedded within myriad music news stories. (If you’re looking for a primer of this near-obsessive news coverage, it’s right here.) Although the 24-hour news cycle that once surrounded (and still does) Grimes’s social-media presence felt new for an artist of her relative size, there was larger-than-life precedent set earlier in the decade: Kanye West, that iconoclastic pop juggernaut still able to trigger temple-rubbing consternation with a simple 280-character missive. While Tumblr was still in its infancy, his personal blog posts were regular news-post fodder; as Twitter took off as its own statement-making hub, Kanye’s usage of the platform was so regularly headline-grabbing (even in his most hilariously mundane moments) that, to this day, best-of tweet compilations are still being assembled in the content mines. Similar to Grimes, he’s possessed the capacity to drive people absolutely nuts when it comes to his social-media activity, especially regarding his heel-turn embrace of Donald Trump earlier this year; he’s also irregularly scrubbed his old posts (and, occasionally, his actual account) from the internet entirely, whether it be for self-preservation or to reset his own posting clock. But such wall-to-wall coverage could be expected of Kanye, whose status as a platinum-selling and market-dominating artist followed him from his incredible 2000s run well into the 2010s, tapering off around 2013’s Yeezus. He was (and, despite recent and obvious social transgressions, still is) a pop-cultural force to be reckoned with, like a rolling hurricane without an eye; in terms of mainstream stature, Grimes more resembled a mildly destructive tropical storm, but she was regardless the recipient of similarly relentless coverage. As it does with so many things, gender discrimination comes into play here; one could ask themselves whether a man making zippy, whacked-out experimental pop music with a tendency for opinionated social-media posts would’ve received the same amount of scrutiny so early in their career, and probably answer the question themselves. Even as so much music news has taken on an indie-TMZ quality in the latter half of the decade, the closest indie analogue to Grimes’s magnifying-lens scrutiny is Father John Misty, and even that parallel isn’t a perfect fit; coverage of his every word didn’t truly kick off until the release of 2016’s logorrheic Pure Comedy — a full two albums after his critical and commercial breakthrough — and said coverage was more or less coming from inside the house, a reverse-engineered approach to publicity that doubled as aggressive, intentionally irritating performance art. As much as the press scrutiny that Grimes has constantly faced — especially over the past 12 months, following the timeline-razing revelation of her relationship with no-introductory-signifiers-necessary-at-this-point Elon Musk — seems potentially unfair, it’s also reasonable to ask how much could’ve been easily avoided by herself. I’m specifically thinking of an undoubtedly lost-to-collective-memory item from 2014, when Grimes refused to participate in the Ice Bucket Challenge, citing the ALS Association’s practice of animal testing in her choice to donate to the Malala Fund instead. Fair enough! In a media landscape comprised of so many calculated moves and canned statements from even the most minuscule of Insta-influencers and C-list assistants, Grimes’s insistence to remain unvarnished as a media presence is impressive in its own right and weirdly virtuous. But as she preps her follow-up to 2016’s Art Angels, it’s easy to wonder whether her headline-grabbing tendency threatens to overshadow the music she makes. We already saw this happen last week, when the release of her new single “We Appreciate Power” was almost immediately overshadowed by, of all things, a feud with performance-art popster Poppy. The latter accused the former of bullying, the former fired back with a few since-deleted Instagram posts — and the whole thing managed to prove more fascinating than the new song, which is especially impressive when you consider that it draws direct inspiration from (no kidding) North Korean propaganda. If it’s this easy for the news cycle to potentially derail the rollout of a new single, what does that say about what’s to come?